One step applicator sponge. 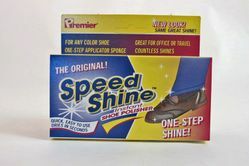 A clear long lasting instant shine for all leathers and vinyls. Great for a quick clean and shine in office or while traveling. 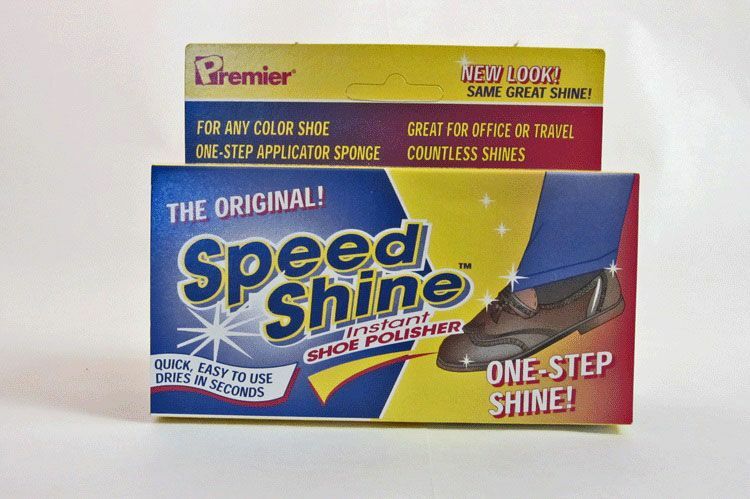 If you like a real glossy shine you can use this after you give your shoes a full shoe shine. Just apply it and let it dry for that added shine. Easy to use, simply wipe the applicator over each shoe. Reuse many times.